Tanger Marrakech 4 Days Tour, this is via desert big dunes (camel ride includes), Todra canyon, Kasbahs, and High Atlas Mountains. Picking you up from your hotel, airport or any other places in Tanger to your riad in Fes. Departing from Fes to Ifran. Then to the biggest cedar forest on Middle Atlas Mountains where you can see Barbary apes and continue to Tafilalet, a home of oases of palm trees (about 50 km long) and fossils. 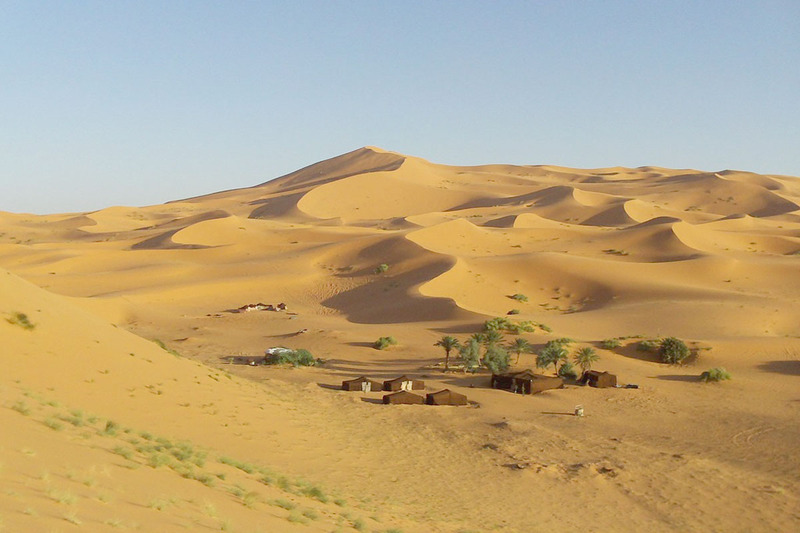 Then we arrive in Merzouga from which you have 90 min. of the camel ride on Merzouga dunes to Berber tents. Spending the night in tents. Being back by camels during the sunrise to the hotel where you will have the shower as well as the breakfast. Then departing to Todra green valley for seeing Todra canyon and continuing to Dades valley in which there is your hotel. Driving to pass through the valley of roses, 17 century Kasbah of Taourirt in the center of Ouarzazate, the film making-studio where some international films took place like The Mummy Returns, UNESCO world heritage building of Ait Ben Haddou whose history steps back to camel caravans traders in Middle Ages, and high Atlas Mountains at an altitude of 2260 m to Marrakech. 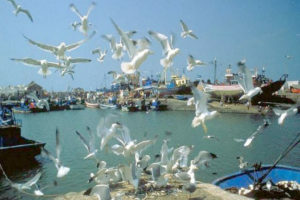 End of your trip: Tanger Marrakech 4 Days Tour. What are the inclusions of your private tour? Picking you up from Tangier. Lunch, drinks, admission fees, travel insurance, and tips.